Many people believe a dazzling smile is one key to a successful life, and scientific studies seem to bear that out. At United Smiles, we completely agree — we’ve seen first-hand the kind of transformations that are possible with major smile improvements. But we also know that we have plenty of potential patients who are currently unhappy with their smiles. They may have discolouration that hasn’t responded to teeth whitening treatments, teeth with chips, breaks, cracks, or stains. Or, the teeth themselves require treatment due to being misshapen, having gaps and misalignments, or simply not being straight. Even jaws can be too crowded. Often, patients have more than one issue at a time, and that is when United Smiles often recommends a smile makeover. 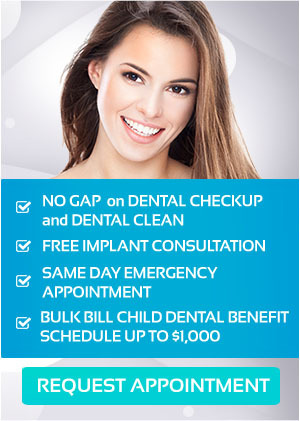 A smile makeover is a complete treatment for your smile… and one you’ll be extremely happy you invested in! How does a smile makeover work, exactly? The answer is that there is no “exact” way it works; in fact one of the advantages of a smile makeover is its flexibility. Your United Smiles dentist has a complete array of techniques available depending on the individual requirements of a patient’s mouth, budget, and timetable. To help you understand if a smile makeover is something you should consider, let’s take a closer look at what it is, if you are a candidate, and the treatment itself. Science is very clear on the advantages of a brilliant smile. According to the American Journal of Orthodontics and Dentofacial Orthopedics, a person with an ideal smile is considered more intelligent and has a greater chance of finding a job compared to individuals with non-ideal smiles. A study in the Daily Mail of nearly 5,500 unattached adults ages 21 and older found that nearly 60 percent of men say they care most about good teeth in a potential date compared to a staggering 71 percent of women who ranked ‘teeth’ as most important. So a good smile counts in life, love, and work! Anyone wishing to improve the overall look of their smile is a candidate. If you have ever felt uncomfortable smiling or laughing, have difficulty speaking or eating due to the configuration or misalignment of your teeth, have unsightly fillings, gaps, cracks or discolourations that you would like to eliminate, have missing teeth, or are just interested in changing one or more aspects of your smile, a smile makeover is right for you. During a meeting at United Smiles you can choose which dental treatments you are interested in based on recommendations from our dental specialists and can choose whether to complete those treatments all at once or within a timeframe of your choosing. Because everyone’s circumstance and needs are different, your smile makeover is individualised. Yours might be simple with just one or two cosmetic procedures. It may be more complex with several health and cosmetic treatments. You will not be pressured to make quick decisions or to accept treatment. We welcome your asking every question that comes to mind, learning about the procedures you are considering, and discussing financial options. When you are ready for your smile makeover, together we will carefully design your treatment plan and conduct your treatment at a speed at which you and your budget are comfortable! One versatile solution to many tooth cosmetic issues is dental bonding. Bonding can fix chipped teeth, gaps, tooth deformities, and discolorations. Bonding uses a composite material that is layered on a tooth. This process can treat many the dental conditions and many of our patients opt for dental bonding because it is a single procedure that requires minimal time. There are many teeth whitening solutions available, but few offer the results and safety that In-Office Whitening does. Our professional treatment can render immediate results (as much as an 8 shade improvement). The Teeth Whitening procedure lasts about 45 minutes and is completely safe. Porcelian Veneers can have stunning effects. Since porcelain mimics natural tooth so well, veneers give patients a nearly flawless smiles. Modern procelain veneers are engineered to be a about fingernail width, but extremely strong and enduring. Once applied, porcelain veneers can last up to 25 years with little to no wear. A dental implant is an artificial tooth root that is placed into your jaw to hold a replacement tooth or bridge. Dental implants are an option for patients who have lost a tooth or teeth due to periodontal disease, an injury, or any other reason. Implants restore both the look and function of your original teeth. Dental bridges bridge the gap created by missing teeth. A bridge is made up of two or more crowns for the teeth on either side of a gap and a false tooth/teeth in between. These are among the most commonly used treatments in a smile makeover and the only way to know which treatments are best for you is to come visit United Smiles. We can help you on the way to an improved and awesome smile! Keep Your Smile Healthy and Attractive with United Smiles in Mernda! Call us today on (03) 8682 8658 or book an appointment online TODAY!